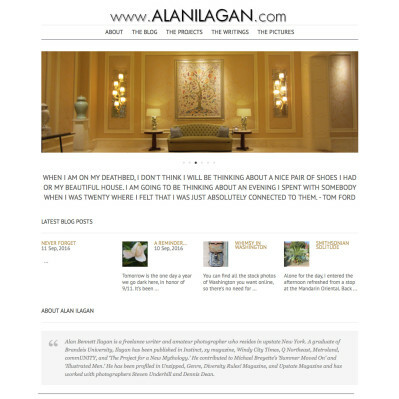 Alan Bennett Ilagan is a freelance writer and amateur photographer who resides in upstate New York. A graduate of Brandeis University, Ilagan has been published in Instinct, xy magazine, Windy City Times, Q Northeast, Metroland, commUNITY, and 'The Project for a New Mythology.' He contributed to Michael Breyette's 'Summer Moved On' and 'Illustrated Men.' He has been profiled in Unzipped, Genre, Diversity Rules! Magazine, and Upstate Magazine. In 2010 he married his husband in Boston, MA and they remain happily unburdened by children.